A film on Iranian state television showing social media users being upbraided for allegedly promoting dance online has sparked criticism from reformists in the Islamic republic. The broadcast, aired Friday on flagship channel Irib 1, featured men and women whose faces were not shown being questioned and made to repent for activities portrayed as contrary to Islamic law and “family values”. Daily newspaper Haft-e Sobh, close to Islamic conservatives in Iran, reported that four of those interviewed were arrested at an unknown date and then released. Among them was a young woman who became popular for posting Instagram videos of herself dancing without a veil and in t-shirts revealing her tattooed midriff, reformist newspaper Etemad reported. In the broadcast footage, the woman identified as Maedeh Hojabri breaks down in tears before admitting that “dancing is a crime”, the newspaper wrote. “But I never posted anything bad on Instagram, never,” the woman said in the programme. 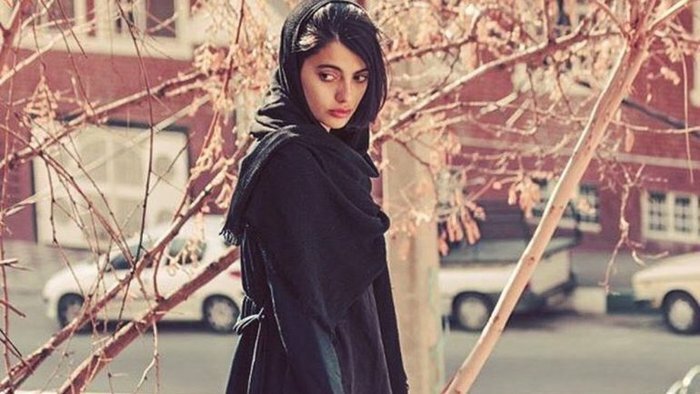 Dancing in public is prohibited in Iran under legislation introduced after the Islamic revolution of 1979 and women are required to wear headscarves and long clothing. But the treatment of the social media “stars” in the broadcast drew a backlash from reformist media and internet users — especially after Haft-e Sobh said the film was made by the police. Etemad blasted Irib and asked whether the authorities should not be going after people blamed for crimes it deemed more serious. “Why do we not bring in the crooks?” journalist Abdi wrote. The newspaper also cited Hesamodin Ashna, an advisor to President Hassan Rouhani, suggesting that those shown in the film might not have given their “consent”. Online, critics expressed their anger over the broadcast. On Instagram, Shiite cleric Mohammad Reza Zaeri, a former editor of the popular daily Hamshahri, wrote that it was not “the wiggling of a teenager’s hip” that undermines Iran’s Islamic system but “the slip of a pen by an old judge”. One hashtag reading “Dance and we’ll dance” in Persian and another one saying “Dancing is not a crime” in English spread on Twitter, with users posting videos of themselves dancing. Another campaign demanding to “Ban Irib” has also spread on Twitter, calling on the US government to impose fresh sanctions on Iranian state television. However, despite the controversy, those behind the programming defended the airing of the film. Irib public relations director Mohammad Hossein Ranjbaran wrote in Haft-e Sobn that “many families” had called to demand” that the broadcaster covers the issue and the “damage caused by cyberspace”.